No Wait Time! Walk-Ins Welcome! Many individuals who are scheduled to undergo a surgery, are required to get a pre op clearance for surgery. This is the case for many types of surgeries in varying fields of medicine including but not limited to orthopedics, plastics, neurology, oncology, cardiology, obstetrics and more. Pre op medical clearances are necessary because your surgeon wants to make every effort that you have no underlying health issues that could potentially affect the outcome of your surgery. The best way to do this is to undergo a medical clearance, which is essentially a comprehensive and in-depth physical exam. Hundreds of surgeons in San Diego as well others in the southern California region trust our physician, Dr. Peter Mann, to care for their patients and complete a medical clearance exam. Our experienced physician, Dr. Peter Mann, with his 20 plus years of medical and surgical experience is very capable, knowledgeable and meticulous. He provides your surgeon with a highly detailed and precise pre op clearance report for your upcoming surgery. Any type of surgery, no matter the type, undoubtedly causes a great deal of stress on the body. While the surgeon is prepared to handle the many complications that may arise, the goal is to prevent any complication from arising in the first place. Your surgeon can do so by knowing everything about your medical history and current bill of health, as determined by your medical clearance for surgery in San Diego. Therefore, a medical clearance is a vital and integral part of your surgery process. It will give your surgeon all the necessary knowledge about your health. 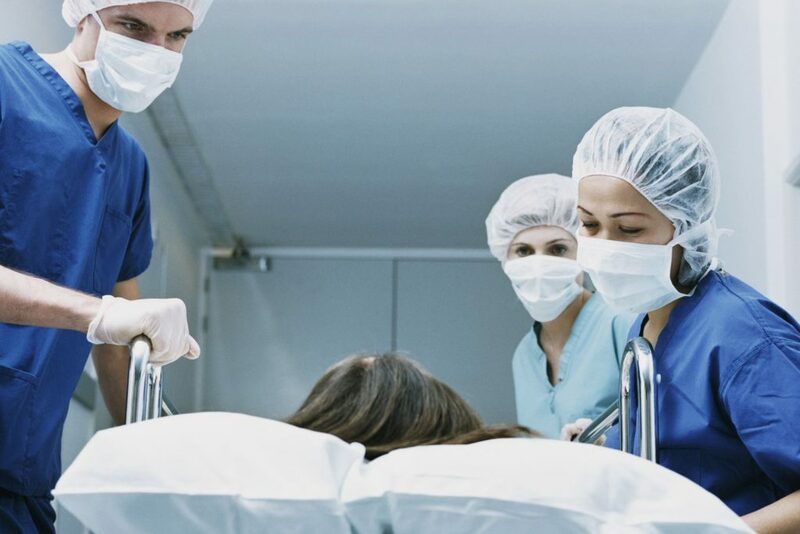 Additionally, it should bring you peace of mind, knowing that all the medical professionals in your life are preparing for the best possible surgery outcome. Dr. Mann and his staff at our walk-in clinic are committed to this mission and want to help every one of our patients, and their surgeons, have a successful and safe surgery. We are conveniently located in La Jolla Village! Easily schedule your appointment online! 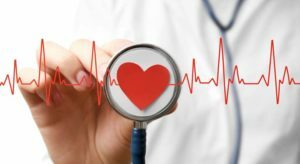 Our medical clinic and team of doctors are able to run an EKG (electrocardiogram) test in our fully equipped and state-of-the-art urgent care clinic facility. In some cases, but not all, one of the requirements for a pre op clearance is undergoing an EKG test. This test is included with all of our pre op clearance appointments if are required or just prefer to have an EKG reading done by our physicians. An EKG is an important test that allows physicians to comprehensively evaluate all aspects of your health and check for signs of heart disease. The doctor is able to measure your heart rate, heart rhythm, medication side effects, electrolyte imbalances, or defects or abnormalities in the heart’s shape or size. It is a non-invasive and painless test because there are no incisions of any kind. The EKG is a portable machine that has 12 wire-like tubes attached to sticky electrodes (metal disks). These electrodes are attached to your skin on specifically designated areas throughout your body. These specially designed electrodes are able to precisely sense and measure the electrical impulses in your body. This electrical activity is processed through the computer in various wave sequences that the doctor then interprets. The test typically takes five minutes or less. If you need an EKG performed for your Pre Op Clearance or any other reason, one of our highly trained physicians can help you! The EKG test is easy to perform, it’s noninvasive, produces results right away, and is very effective and useful in diagnosing dozens of heart conditions. What Can I expect from my Pre Op Clearance? A pre op clearance exam is a more detailed and comprehensive version of your regular physical exam. Its purpose is to prepare you and your surgeon for surgery, a very serious matter no matter the circumstance or type of surgery. You can expect your medical clearance for surgery exam to last approximately one hour or longer, depending on the number of concerns our physician, Dr. Mann, feels needs more attention. Every exam will begin by the doctor speaking to you extensively about your family history, immediate health concerns, allergies, medication and herbal supplement regimes, past surgeries and more. Then, our physician will take basic vitals (blood pressure, heart rate, temperature, pulse, pulse ox, etc) and take other relevant measurements/tests. The physician will then determine which other laboratory tests or screenings need to be completed for your specific health and upcoming surgery. You can prepare for the pre op clearance exam several ways. First, it is important that the physician completing the medical clearance exam has all the relevant and appropriate information about your upcoming surgery from your surgeon. Your surgeon can fax over your medical records to our office, so Dr. Mann can prepare for your exam. Additionally, it is helpful if you bring a printed list of all the medications and herbal supplements you take. Lastly, it is important that you are transparent and honest with the doctor, especially about your lifestyle, daily habits and current health concerns. Our physician needs accurate information to create a precise, detailed and informative medical clearance exam report for your surgeon. Dr. Mann and his staff at our walk-in clinic look forward to serving you and preparing you for your upcoming surgery. Please call us to learn more about our exam services, or stop by our convenient location in La Jolla anytime for a medical clearance exam for your upcoming surgery. We want to help keep you healthy and safe, always. We are the #1 clinic for pre op clearance in San Diego! If you are looking for Pre Op Clearance in San Diego come visit us today! © 2019 Medical Care San Diego. All Rights Reserved. Design & Development by Exton Edge Marketing & Design.